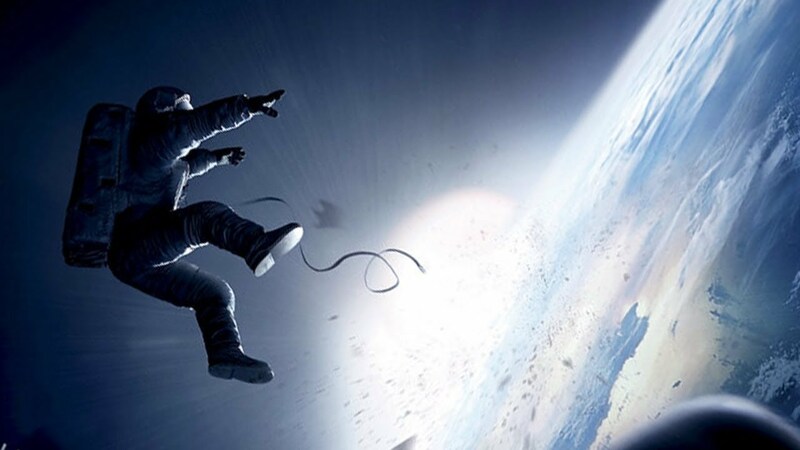 Cancel that application to join NASA – I’ve changed my mind about wanting to be a spaceman. If you’ve ever wondered what it would be like to be floating around a Space Station somewhere in the vasty void out there, this has got to be as good an insight as you would get from the safety of Planet Earth. Jolly badinage abounds out there between the Space Operatives as they go about day-to-day maintenance in the great unknown, but when debris from a missile strike on a defunct satellite by those pesky Ruskies starts heading their way, things get seriously problematic. That’s when you discover the “gravity” of the situation (geddit?) and Dr Ryan Stone, played with great conviction by Sandra Bullock, ends up having the most unlucky day at work imaginable. There’s no doubt that this is an absolutely extraordinary film. 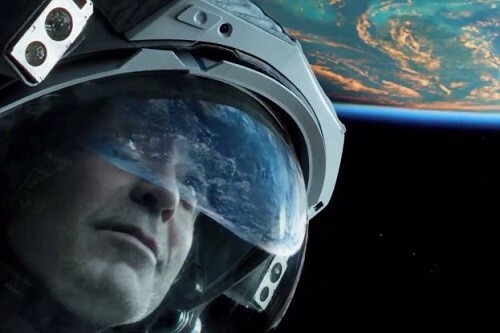 The sense of outer space is vivid, scary, and beautiful, and I haven’t seen such exciting 3D effects since enjoying the John Barrowman Birmingham panto a few years ago. The music and sound effects are also really stirring and exciting – a build-up of rowdy noise will accompany a tense, suspenseful scene, and then will instantly change to silence as our heroes (briefly) escape one calamitous situation before awaiting the next. There’s a terrific juxtaposition between the hugeness of space and the tininess of the spacecraft and the fragility of the human body. I have to say, I had my heart in my mouth for at least half the film. Fortunately I managed to overcome the sentimentality of much of the dialogue as I really wanted to enjoy this film; however its schmaltziness was over-the-top for Mrs Chrisparkle, who found it just too drippy. I guess realistically if you were in their shoes, hanging on a thread in the great beyond, you probably would talk about all those personal issues and have a photo of your family attached to your spacesuit; however, I could sense Mrs C going “oh purrlease” and “oh forchrissake” everytime another clichéd syrupy sentence hit the cosmic vacuum. There is also the pleasure – if that is the right word – of witnessing George Clooney running the gamut of wisecrack from A to Z even when he is at the end of his tether (literally). Is his character’s vain light-heartedness believable under such circumstances? That’s hard to answer. The opening credits are as minimalist as you could ever expect to see, directing the audience’s attention straight to the opening scenario and the uneasily prosaic nature of the standard maintenance work performed against such an unprosaic background. This is basically a two-hander, and it’s not often you see one of those as a film – in fact, I can’t think of another. 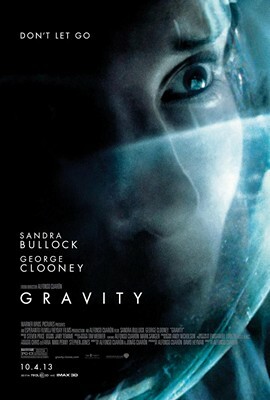 There are a few other characters who you just hear rather than see, but it’s mainly just Miss Bullock and Mr Clooney versus the universe. 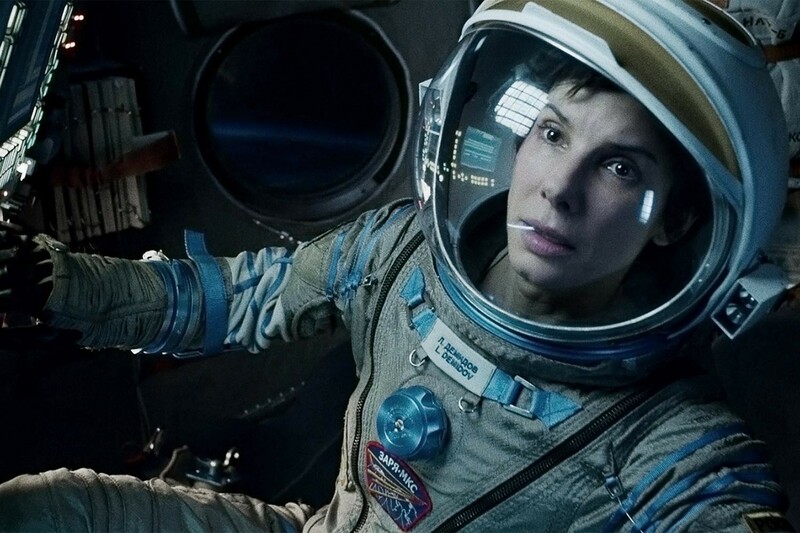 As Miss Bullock hops from space station to space station, I was impressed with her ability to operate the machinery when all the instructions are in Cyrillic, but surprised that she wasn’t able to crack the Chinese alphabet. You would have thought that would have been part of the training, just in case. Suffice to say she makes it back, even if not quite on dry land, and boy will she deserve that evening gin-and-tonic. Visually stunning, an assault on the senses, plenty of suspense and a celebration of indomitable spirit; let down a bit by the sticky sweet script, but pacily packed into a thrilling 90 minutes. I’d definitely recommend it, and go for a 3D screening as the effects work brilliantly.